I have some big news! 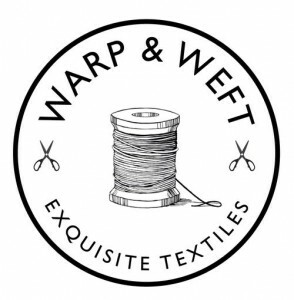 As you know, I’m a big fan of Canadian fabric shops, so I am super excited to announce an ongoing collaboration with Warp & Weft Exquisite Textiles. 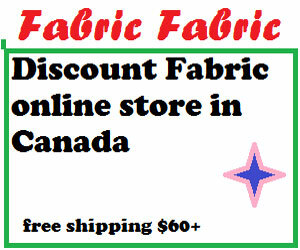 Warp & Weft is a Canadian online fabric and sewing store specializing in designer and imported cotton fabric, embroidery supplies and notions for creative sewing. 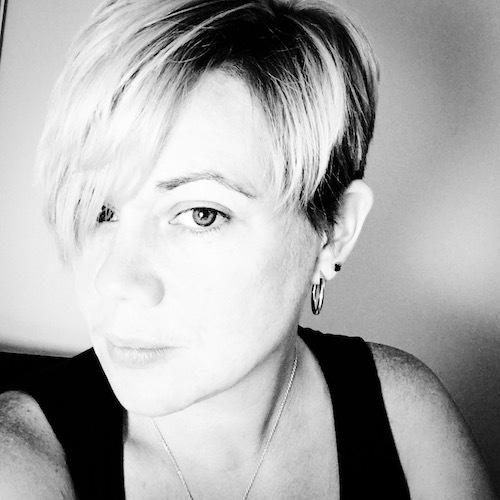 The shop is run by Esmari Taylor out of Toronto. She has some fabulous products (go check them out! 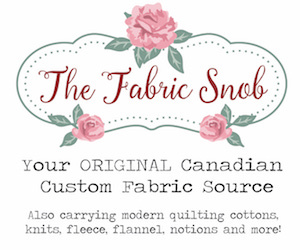 ), and I’ll be doing some sewing with her fabrics on a regular basis and possibly doing some embroidery (so excited!). My late grandmother taught me to embroider as a little girl, but I haven’t done very much of it lately, and I’m looking forward to the trip down memory lane. I miss her! It was hard to photograph this without opening it. I “may” have ripped a tiny corner underneath to peak inside. So much fabric. Better get sewing! 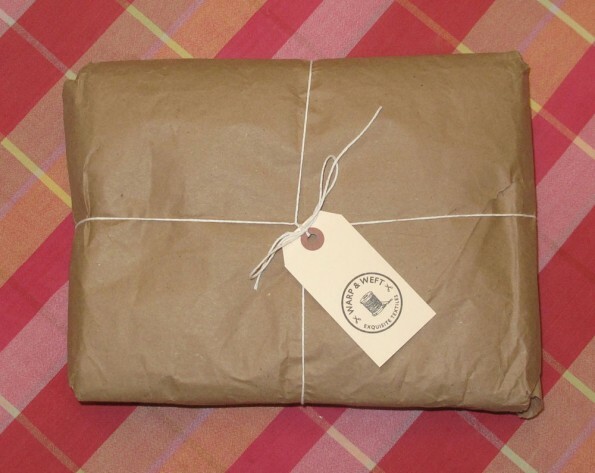 I just got my first package, and there was some great fabric inside. I have some really fun projects in mind and I can’t wait to share. Fun, fun, fun! These are organic cotton. 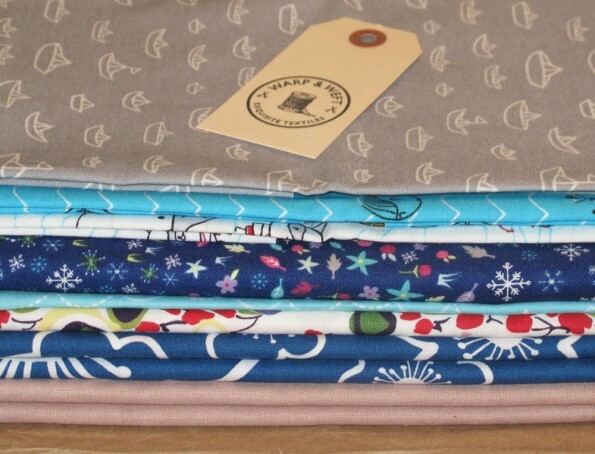 It’s Seven Seas collection by Michéle Brummer Everett for Cloud9 Fabrics. 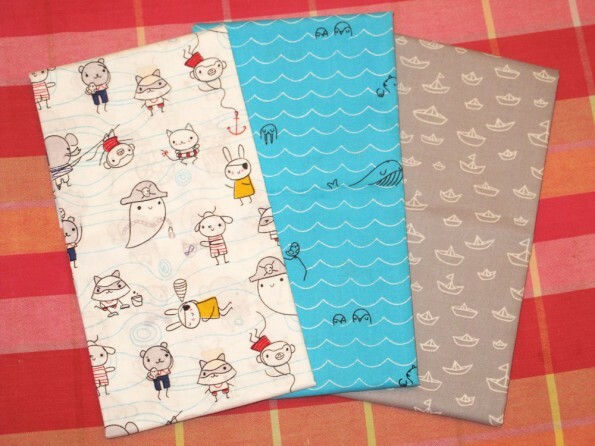 These prints are Sea Critters, Laddies and Poppets, and The Fleet in Grey. The kids love the Seven Seas fabrics. So cute! I may need to get some more. These two are really pretty. 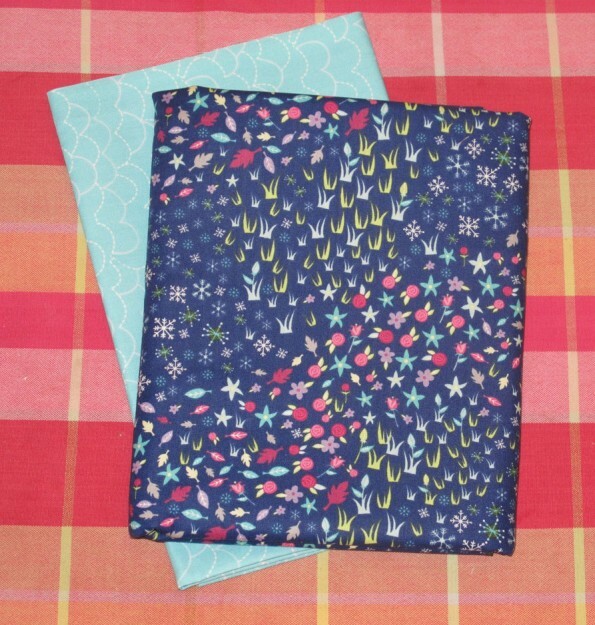 Floral Meadow and in the City Girl Colourway and Curvy Stripe in the Orange Grove Colourway from the Storybook Lane collection by Kelly Lee-Creel for Andover Fabrics. This one is lovely! It’s Monkey’s Bizness Market Floral in Bright by Alexander Henry Fabrics. There were also some pretty florals, which are great for summer. I have long coveted this fabric. 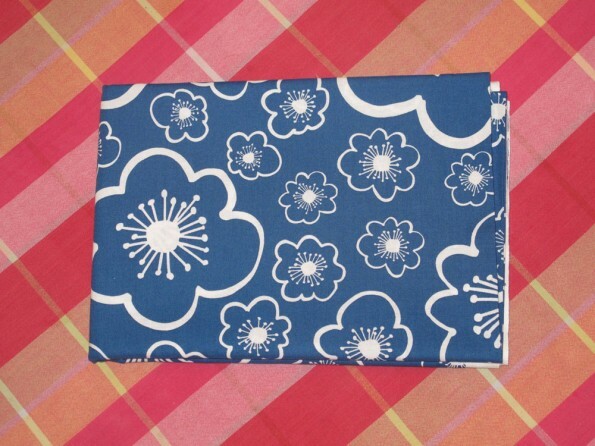 It’s Bella Flower in Blue by Lotta Jansdotter for Windham Fabrics. I have been adding this fabric to my online shopping carts for months and then not buying it because I had no specific project for it. But now I do! I have something special planned for this one. 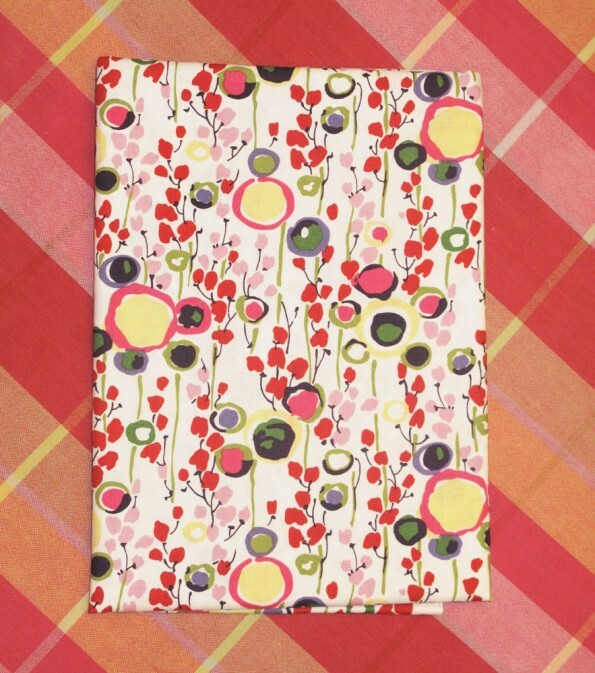 This is Essex Linen in Rose by Robert Kaufman Fabrics. 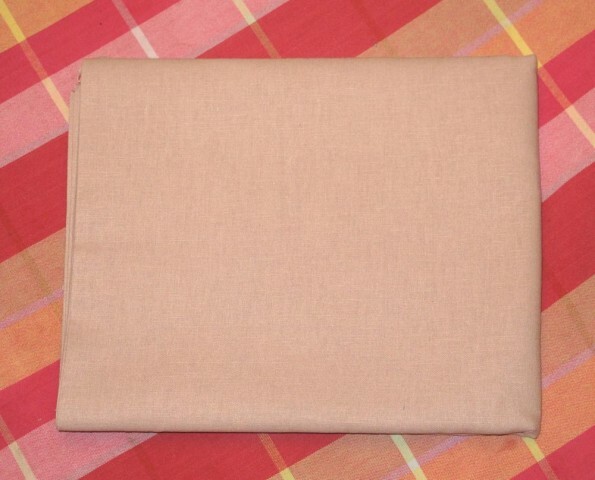 And finally, linen! I think linen is my favourite fabric of all time. I always just buy black and white, so I thought I’d try some colour this time. So consider these the “before” photos, and expect to see the completed projects in the coming weeks. Honestly, the fabric is pretty exciting! But a couple of other nice things happened lately. 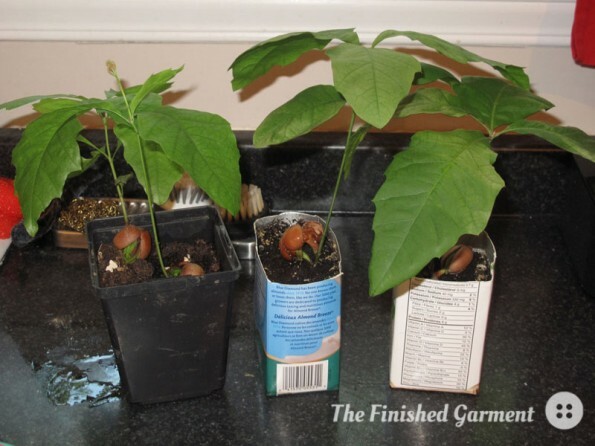 We’ve always wanted to plant trees for each of our kids, and we’ve just been given four baby oak trees. Now we just have to choose where to plant them. We also had a very special visitor drop in unexpectedly. We live outside of the city, so wildlife sightings aren’t rare, but the kids always seem to miss them. This time our friendly visitor stayed still long enough for us all to get a good look and for me to take some photos. Wonder if he or she will be back? 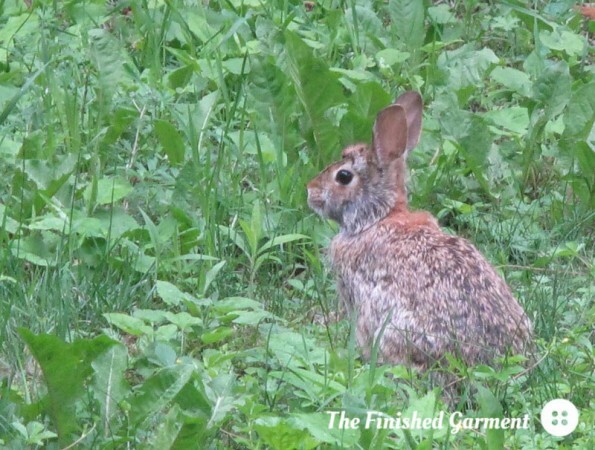 We had a visitor of the long-eared variety. Lovely idea to plant trees for your kids and how fortunate they are living somewhere where they can enjoy some wildlife too! So glad you like the prints and really looking forward to seeing your projects, especially the Essex Linen one! I’m a huge fan myself and try to use it as often as I can.